WASHINGTON (Reuters) – U.S. President Donald Trump intensified his spat with Turkey on Friday by imposing higher tariffs on metal imports, putting unprecedented economic pressure on a NATO ally and deepening turmoil in Turkish financial markets. 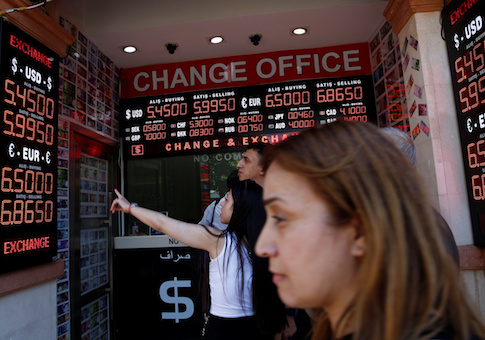 Trump's move sent Turkey's lira currency deeper into tailspin. The lira, which has long been falling on worries about the government's influence over monetary policy and the U.S. tensions, plunged more than 18 percent at one point on Friday to a record low against the dollar. The United States, the world's biggest steel importer, imposed tariffs of 10 percent on aluminum and 25 percent on steel in March for imports from a variety of countries. Turkey is the sixth-largest steel exporter to the United States. Last week, the United States imposed sanctions on Turkey's justice minister and interior minister for not releasing U.S. pastor Andrew Brunson. charge. His cause resonates with Christian conservative supporters of Trump, who could also be influential as Republicans seek to retain control of Congress in midterm elections in November. Trump and Turkey's Erdogan have had an up-down relationship. At the U.N. General Assembly last year, Trump called Erdogan a "friend" who got "very high marks" for how he runs the country. Aaron Stein, senior fellow at the Atlantic Council think tank in Washington, said Trump has "personalized the Brunson issue and feels like Erdogan cheated him." "We are in uncharted waters here. No idea how this ends, or where Ankara wants to take this but it’s going to be a wild ride," Stein said. This entry was posted in Issues and tagged Turkey. Bookmark the permalink.